Are you fond of playing Fortnite games? If yes, then get ready for one more game like this. Fortnite’s rival, Apex Legends game is planning to bring to Mobile. Apex Legends Game gets 25 million players in one week after launch. One more achievement the game achieved is that it got the straight 10 million players in just 72 hours. The battle royale game is currently available for free on PC, PlayStation 4 and Xbox One. 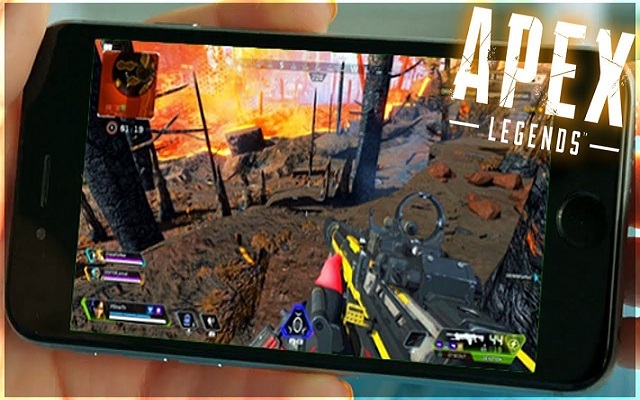 During the Electronic Arts Q3 2019 earnings call, Andrew Wilson, CEO of EA Games, said that his company is looking to bring Apex Legends to Android and iOS devices. However, the company has not revealed the exact date of the launch. Although Apex Legends is a free-to-play game and players can choose to continue to play all the way through the game. The game also includes in-game purchases so that the players can level up and buy new, unique cosmetic items for their character. Furthermore, there will be different monetization opportunities built inside the game as well. On the other hand, its rival game, Fortnite is kept on bringing new surprises in the game. Recently, Fortnite For Mobile has got Bluetooth Controller Support. On the other hand, Fortnite For iOS Users can use the MFi controllers like the Steelseries Nimbus and Gamevice.